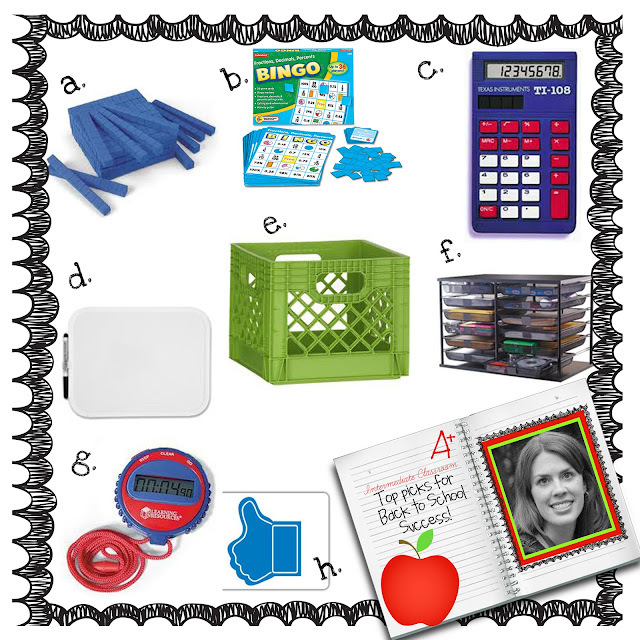 Make math fun with a few innovative tools...our must have math manipulatives. Organized and clever math centers really add up! Gone are the days that math instruction comes straight from a book and is all independent work. Math is a wonderful time of the day to introduce differentiated instruction through a math center. A math center should not only offer activities to build and strengthen skills, but also have opportunities to problem solve and share ideas. Whether you have the youngest of students or the oldest ones on the block, make sure to have a space that allows these mathematicians to shine! g. Dice with numbers are good for young learners working on number recognition. I add these to a small Gladware container...no more dice rolling across the classroom floor. With two or three dice in a container the students can work on their basic addition facts. h. Clear plastic folders can keep all of your student's papers in one organized place. Most math books these days are consumable which means a lot of ripping and stapling for us teachers. I keep an entire chapter together in their folders and send it home when its complete. 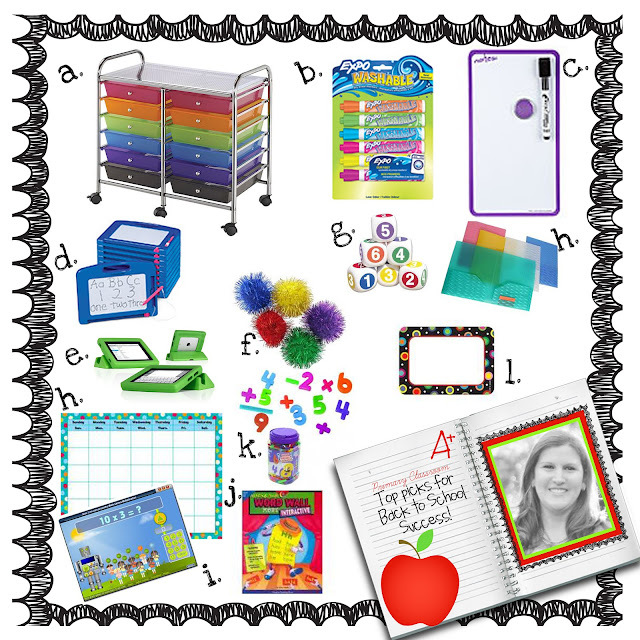 We hope you have enjoyed our favorite picks for back to school. Hopefully you found a few new favorites for your classroom. With Back to school right around the corner we know that our teachers are working hard setting up their learning spaces. We would love to see the creative places you teach in everyday. Please send us a photo of your learning spaces. Just email to simplysprout@gmail.com. We would love to feature it in a later post.